Starting Monday, Bertalan Tóth faces a most unenviable task, following his election as leader of the Hungarian Socialist Party, winning 54% of the ballots cast at the MSZP congress on Sunday. The 42 year old politician has less than a year to salvage the Hungarian Socialist Party–the dominant political formation in Hungary for two decades following the transition to democracy and a party that won three national elections. Today, MSZP is polling at historic lows. Závecz Research found that among all respondents, only 6% would vote for MSZP. When only decided voters’ responses are taken into account, MSZP stands at a still dismal 9%. Bertalan Tóth at Sunday’s MSZP Congress. Photo: MTI. Mr. Tóth opened with some dark humour. He announced after his fairly slim victory against rival Attila Mesterházy, who already led MSZP once, what the presidium would not do during their first meeting. “It can be expected that no decision will be made about winding down MSZP,” he said. 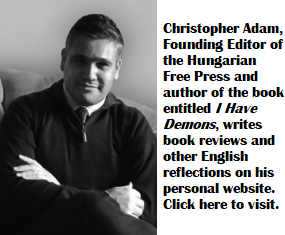 He also took a jab at the Hungarian Liberal Party of Gábor Fodor, who demolished his credibility in opposition circles a few weeks ago by appearing interested in little else but money and personal political survival. Mr. Tóth was pleased that “instead of the the money-hungry liberals,” it was Independent MP Tamás Mellár who ultimately joined the Párbeszéd caucus in parliament, a close partner of MSZP, to ensure that the tiny party has the minimum number of MPs to retain official status in parliament. The comment on “money-hungry liberals” suggests that MSZP under Mr. Tóth will continue moving to the left–a process that the party started a year ago and which it will now have to maintain, if it is to work together effectively with Párbeszéd. The small new left formation has always been decidedly more “radical” than the Socialists on most socio-economic issues. 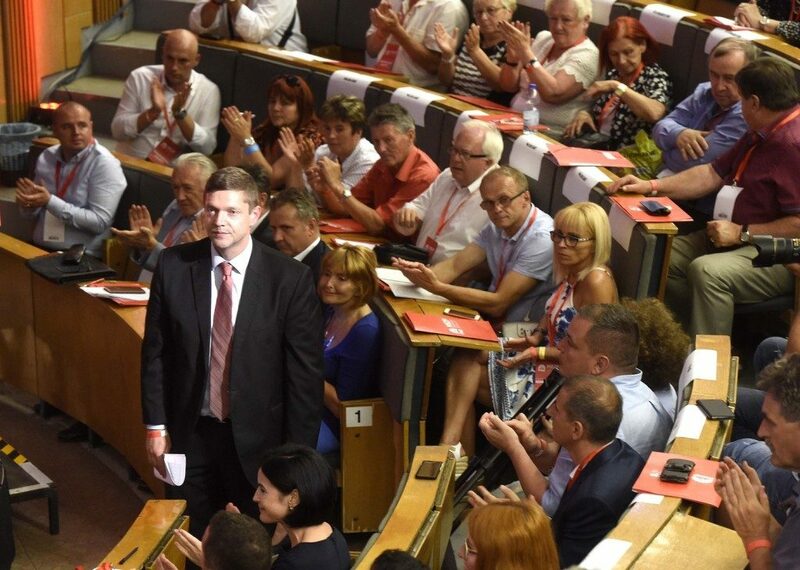 On Sunday, Mr. Tóth announced that MSZP will embrace “traditional left-wing values.” In a twenty minute speech to the party congress, Mr. Tóth quoted Pope Francis on how addressing unjust economic conditions and indeed systems of economic injustice is a human rights issue. It looks like MSZP is planning on focusing its attention on matters pertaining to health care and education in Hungary. This is a natural choice, as Hungarians across the spectrum are concerned about both and prior to Fidesz successfully monopolizing air time with hysterical, fear-based campaigns, Hungarian elections were generally decided on bread and butter issues. MSZP will look to change the country’s political narrative by taking aim at the proposed national budget. The Socialists are calling for public funds to be redistributed–taking funding away from state television and radio (today both are blatant propaganda arms of Fidesz and offer virtually no value), as well as cutting state funding for government communication campaigns and new sports facilities. These funds, under MSZP’s plans, are to be redistributed so as to support health care, education and social services. MSZP also opposes frivolous plans to move government offices to the Buda Castle. Of course, everyone in MSZP knows that Fidesz will reject each and every one of their suggestions–not just on the budget, but on every issue, without exception. Fidesz has a solid two-thirds majority in parliament and in eight years of government, never has it shown any inclination to accept proposals from the opposition–not even on the level of a symbolic gesture. The only purpose of these proposed amendments is to try to change the national narrative and move it to bread and butter issues. This will be tough, as MSZP cannot rely on public broadcasting to give their ideas fair air time and Hungarians in small-town and rural Hungary do still rely on state television and radio. The even bigger challenge is the tight schedule that Mr. Tóth now faces as the new MSZP leader. He has no more than six months to somehow whip the party into shape, considering that the Socialists must face two elections in 2019: European Parliamentary election in the spring and the far more significant municipal elections in the fall. If MSZP performs as poorly in these two elections as it did this past April, or if it bleeds away even more votes, the party will have little to no credibility of being viable in the 2022 national elections. I personally fail to see how the Socialists could win on bread & butter issues. Just to give everyone who thinks otherwise some perspective, when measured in $ dollars, Hungary had a GDP/capita of $13,080 in 2010. While according to 2017 data it reached $15,500 in 2017. Slovakia had a GDP/capita of $16,500, while in 2017 it finished with $17,700. In other words when Socialists were done with Hungary, GDP/capita went from par in 2002 to Slovakia being ahead by more than 25%. Then Orban took over that broken economy, on IMF life support and now 8 years later it closed that gap to less than 15%, despite the sorry state of Hungary’s financial situation at government and consumer level in 2010. I think Hungarians understand bread & butter issues better than they are being given credit for. They understand that such issues can only be supported by a healthy economy, which is not what the Socialists left behind the last time around. I doubt that the message of less money for stadiums and more for education & health care will resonate, because of simple math. A significant change in health care & education would require increasing spending by billions of Euros per year, which cannot be financed by cutting 100 million Euros from stadiums. It can only be financed by continued economic expansion, which also expands tax revenues by a significant amount.